Nate Robinson is one of the smallest dunkers in the NBA, but his tattoos are as impressive as his dunks and as big as his attitude. Robinson has always been known for that small guy that can dunk like a beast, the only problem is that he's also an annoying little dude. That is why he's been jumping from place to place, team to team, for the past few years. But, coming from a depressing place like Seattle, Washington doesn't seem like you would have ink upbringings, but Lorenzo Romar has always had athletic, misfit squads. He even looks like a 5-9 Fifty-Cent. Melo was never a guy who would pass the ball to another guy for the final shot of the game. He's more like a guy that will try to get 40+ points even if it takes him 40+ attempts. That's probably because of his street ball mentality and his New York origins. That's why Melo is Melo. He'll score the points, but shoot a lot. 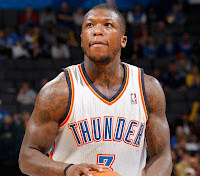 He is still an All-Star even though he is by no means the most efficient basketball player in the NBA. He is brilliant, yet selfish. New Yorkers may love him for his NY swagger, but it's time to face facts: how will he mesh with the Asian boy? 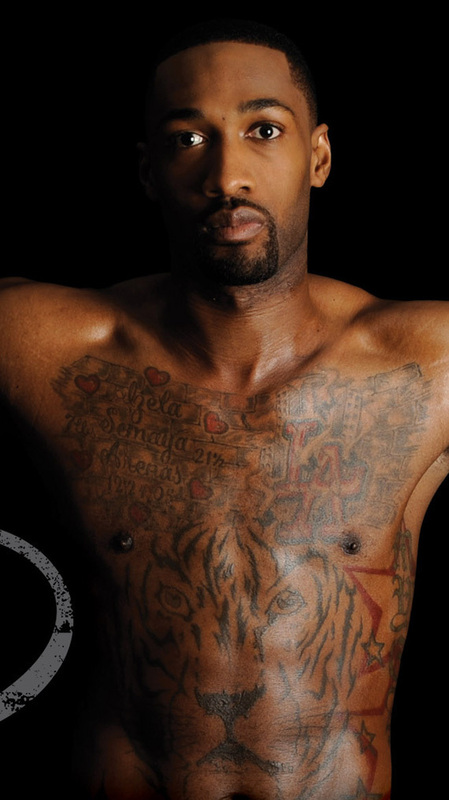 I gotta give some love to my boy, Gilbert Arenas (as you can see from the heart tattoos on his chest), but he hasn't been doing himself any favors recently. First off, he's another street baller from LA, which could explain why he has a lion on his belly. Secondly, he had some weapons ordeal in his locker room, which is one of the dumbest things a guy can do. At least he felt like he shouldn't put tattoos on his arms, you know just in case people think less of him (which I doubt). Take those tats to LA, GA! I'm sorry Andrei Kirilenko, but this one was just tasteless. I don't know what made you think you should get a red demon dragon permanently inked into your back, but I guess you have to live with it. Kirilenko is from Moscow, so I'm not to sure if they love dragons over there or not. (Who knows, maybe one day Jeremy Lin will step into MSG with a big Chinese dragon sleeve... you never know). Kirilenko already looks like that Russian guy from Rocky IV, so I don't think he needs another intimidation factor in the form of a demon dragon. A square jaw and a bad haircut will do. I would never have guessed this: the Durantula has ink! Kevin Durant seems like such a nice boy, and I do mean boy. The back-to-back NBA scoring champion has yet to break through in the playoffs, making him the equivalent of a teenager admiring his peach fuzz, hoping that it will one day be like James Harden's beard. 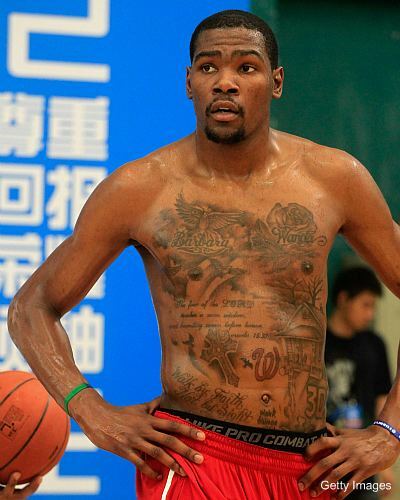 It's okay KD35, you still have a long ways to go and tattoos won't change our opinion of you, you're still a very nice boy. At least the kid felt like he should hide his tattoos from the public. But, like I said there's nothing wrong with tattoos. It's just whether or not you want to show off your true colors (Andersen), show off your roots (Ellis), show off your dragon fantasy (Kirilenko), or maybe you don't want to show them off; they're just a fun thing to look at when your shooting free throws.